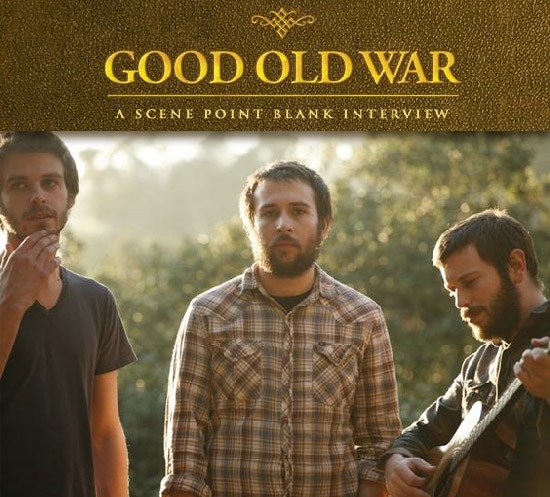 On the heels of March’s Come Back as Rain release, alternative folk band Good Old War met up with Scene Point Blank on their current tour to talk about songwriting, instrumentation, and current music in general. The band was in Burlington, VT to play a show at Higher Grounds before Keith Goodwin took ill and the show was cancelled. Despite missing out on the show, fortunately we still got a chance to talk with guitarist Dan Schwartz. Since the April interview, Goodwin has recovered and the band is back on the road. Later this summer they will be joining Counting Crows in a high profile slot. Scene Point Blank: First off, congratulations on the band's appearance on Conan O'Brien. What was the experience like and how was it meeting Conan? Dan Schwartz: We only met Conan the brief time after our performance on TV. He came over to the stage and asked me about my guitar playing so that was kind of awesome! The experience is really interesting, though. It was like gaining a new skill as a band. Learning how to play on TV, how to deal with that pressure. You get there at 8 in the morning, you sound check about an hour later, check again another hour after that, and then you just wait the whole day. And then you play one song and then it's over! So it's a lot of hanging out and waiting but we've now learned how to deal with that. As a band, it's good to know that we can do this sort of thing. Scene Point Blank: That's great! So when you're writing songs, would you say you focus more on the lyrics or the music? Dan Schwartz: I think we focus on everything...for this record, especially. We sat down with the lyrics for about two weeks and just edited because we all sing every word so, for us, we all have to be okay with what we're saying. We had to make sure everyone was comfortable singing everything we wrote. And we worked just as hard for weeks on the music, too, and trying things over in different ways. I think we just want to have every song fully represent us in every way. Scene Point Blank: Cool. I know with the song, "Amazing Eyes," you guys worked on that for two or three years, right? Dan Schwartz: Yeah, Keith had the chorus and then we all tried different things but never really liked how it turned out until now. We actually had a friend help us out and that's the only time someone else has helped us write a song. Scene Point Blank: So how is writing songs with Good Old War different from writing songs when you were in other bands? Dan Schwartz: Well, with Unlikely Cowboy I did everything. It was my band. I wrote all the songs, did all the instruments. I started that as a means of expressing my songwriting while I was in a different band where I felt like I wasn't doing that. In this band, we're all very even contributors. We all had to learn how to collaborate in a new way where everyone is an equal member and, to me, it's been so much more fulfilling to have collaborators that you learn to trust and respect. There's definitely a part of me, at first, that had a hard time with that. But the more I felt that their ideas were right more often than mine, or just as much as mine, it got easier. Scene Point Blank: Speaking of collaborators, that brings me to a good follow-up question. When you're working with a producer—someone who isn't in the band—how does that affect the outcome of your songs? Does your perspective on a song or idea change after discussing it with a producer? Dan Schwartz: Absolutely! Well, what you have to do with a producer is give yourself over to them, to some extent. You chose them because you trust them and, in a way, it's really helpful to have someone listening to the music with an outside perspective who can hear it without the ego. Scene Point Blank: In an interview you did, you said you were experimenting with Nashville tuning on this new album. Could you elaborate more on that? Dan Schwartz: Yeah, it's a 12-string guitar without the lowest string and everything is set an octave higher. I haven't done it just for this record, I've done stuff with that tuning in the past too. I love the sound and it's more exciting for me and more interesting to play it that way. Scene Point Blank: I've also noticed in your lyrics, the band seems to be able to take a sort of dreary concept and turn it around and make it more optimistic. Some examples include "Better Weather" and "That's Some Dream." What are some experiences in your lives that you like to give the lyrics a positive spin like that? Dan Schwartz: I've said this before too, I think it's who we are and the way that we write. The way that we deal with things as people. 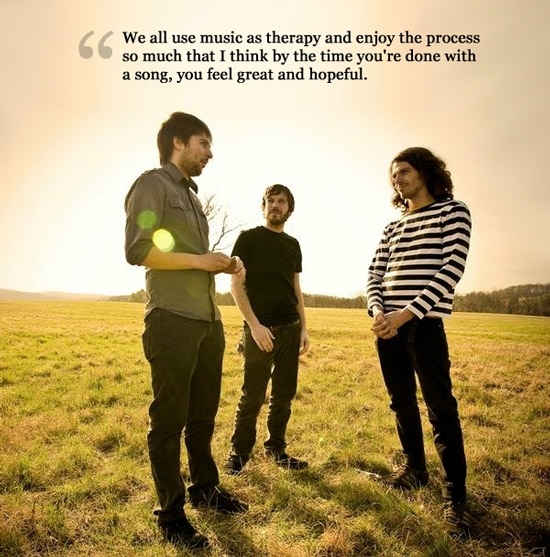 We all use music as therapy and enjoy the process so much that I think by the time you're done with a song, you feel great and hopeful and I think the music is definitely a reflection of that. Scene Point Blank: I have to ask — my last question — has there been any new music recently that have stood out to you? Dan Schwartz: I really like that band Other Lives right now. I love the Civil Wars. I'm always an old fashioned country guy though, that's kind of where I usually hang out. But if it's good, I like it pretty much. I'm very open-minded. Scene Point Blank: Well, thank you so much for your time and have a great rest of the tour! Dan Schwartz: No problem, thank you! 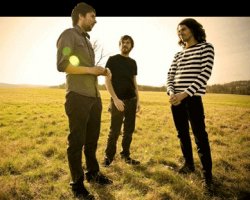 Read our older interview with Good Old War here. Words by Stephanie Preston on June 7, 2012, 6:20 a.m.
Posted by Stephanie Preston on June 7, 2012, 6:20 a.m.